Teaser trailer for Rockstar 'Red Dead Redemption 2' is now below. While the trailer is light on narrative is does show off some great environments. 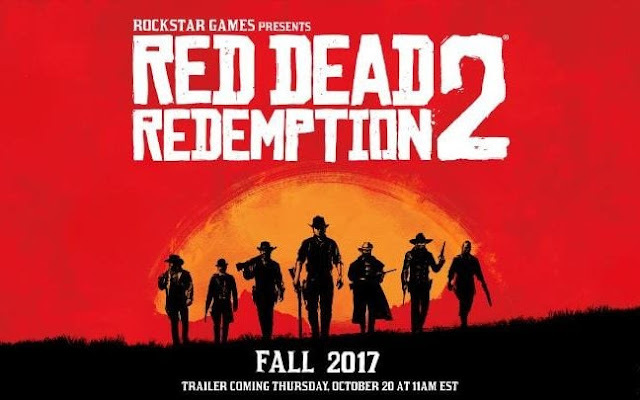 Developed by the creators of Grand Theft Auto V and Red Dead Redemption, Red Dead Redemption 2 is an epic tale of life in America’s unforgiving heartland. The game’s vast and atmospheric world will also provide the foundation for a brand new online multiplayer experience. 'Red Dead Redemption 2' is coming to PlayStation 4 and Xbox One in fall 2017.